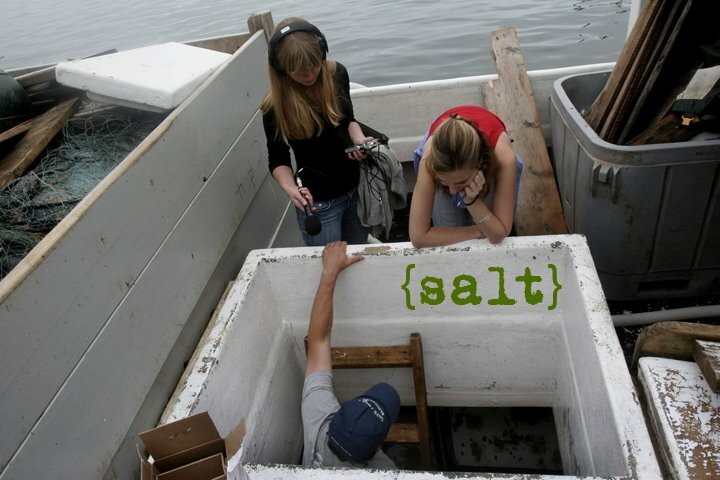 Located in Portland, Maine, the Salt Institute for Documentary Studies offers a 15-week immersion program for advanced undergraduate and graduate students in documentary writing, photography, or radio. 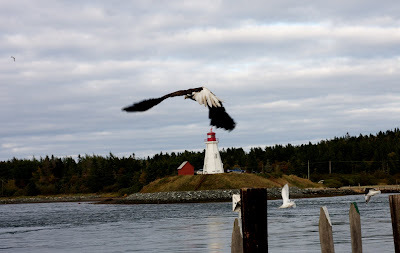 This blog is an update of current Salt students insights and musings. 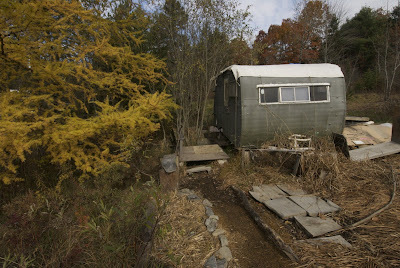 Here is our cozy camper located next to the goat shed where the bear gored the family goats. Rachel lends a hand in the bear skinning. 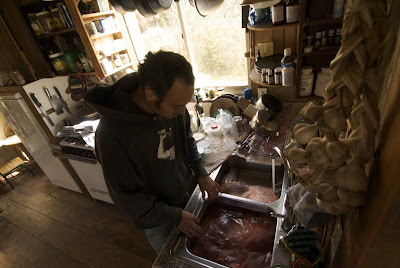 Jeff, Oceana's dad, looks at the bear meat resting in cold water in his kitchen sink. I went back to the house to check on Becca, and Oceana greeted me with a red and yellow toy saw. "I'm cutting your paws off!" she played, sawing back and forth at my wrists. 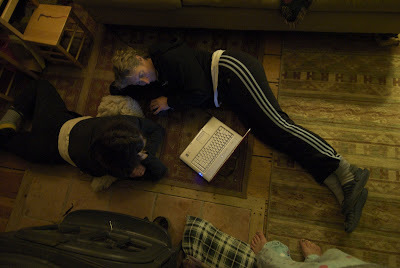 "Oh, Oce," Becca said, coming over to where we stood on the rug. She got down on her knees to take Oceana in her arms. 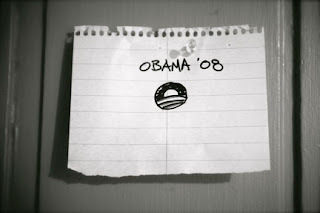 That's when I knew how truly surreal the whole situation was. It's one thing for children to play hunter, it's quite another for them to have a dead bear arm soaking in their kitchen sink. "They are pretending they are not here"
Well I shot for a total of 25 hours this weekend, no, not including sleeping, and I am still happy, motivated, and excited about my photo essays. That’s the thing about doing something you love, even if you are putting in a five million hour week, its ok because you are so excited and happy to be doing every second of your work. 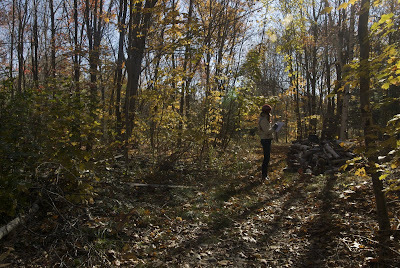 So In addition to having many break throughs with my subject for my personal essay, I had an amazing weekend with my collaborator working on our homesteading essay. On the drive up we had a sort of epiphany about why we were following each family and what we wanted to show in each family. It was like the photo / writing gods were smiling down on us and granting our every wish! 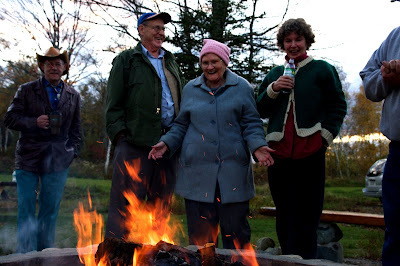 We were staying with the family that we wanted to document to show the homesteading community at large. 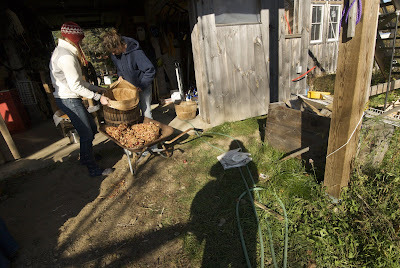 As soon as we got there the community started flooding into our subjects barn to press apples. 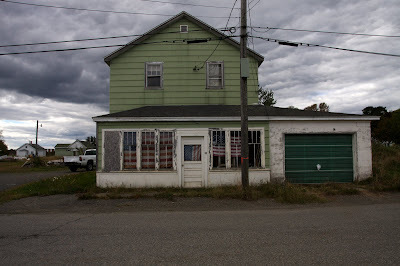 Within this community was the woman who started the Montville ordinance (the ordinance that we have based our story around and had yet to incorporate in the context of real live people), The man who started the community outreach for economically depressed families who don’t have food to get vouchers for the farmers market, and some homesteaders from the first wave of back to the landers (exactly what Colin had asked Rachel to find). We managed to sit down with all of these people and conduct an interview that lasted for maybe about an hour! It was one of those amazing moments where everything you were searching for just falls into your lap unexpectedly. We now have the glue to hold the pieces of our story together. After this amazing day we sat down to a great diner. One of the great perks about shooting homesteaders is that they love to feed us dinners composed of fresh food they have harvested mostly from their farm. So Rachel and I started to sit down to a meal of chicken (from the farm), kale (from the farm) cooked in apple cider (that we pressed that day), carrots (from the farm), Pork (bartered from a fellow homestead), and some rice from a store. Just as we were about to sit down I explained to Rachel that I needed to get a shot of the dinner table so, we needed to take our place setting away from the table and wait to be served, so that it wouldn’t appear that we were altering the scene. One of the children asked what we were doing and the mom said “they’re pretending they’re not here”. This struck Rachel and I, we both found it ironic and very comical. Of course we were there! And what were we doing by moving our plates? …. calling attention to our presence! I remember Rachel laughing and saying ‘this isn’t documentary’, and I said something to the effect of sometimes you have to sacrifice one truth to show another. I thought this was a really interesting moment, I can see both sides, in fact I’m on both sides, it’s something to ponder I suppose… After our freezing day outside we couldn’t resist a post dinner sauna in the sauna behind the barn that the family had built by hand out of local cedar. Little did we know that this would mean chilling out with our subjects naked, but at this point there was no turning back. Rachel and I rapidly undressed in the cold and modestly sat in the sauna with our towels surrounded by our buck-naked subjects. One of their moms got up to put the kids to bed and asked if we wanted to stay in longer I replied ‘If I were a good documentarian I would shoot you putting your kids to bed” and with that I ran with her and Rachel back to the house through the frost. 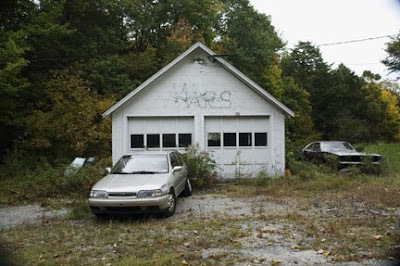 Written in Christmas lights on a garage on Chebeague Island. 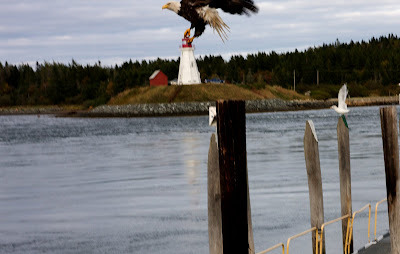 Campobello, Lubec, and an international eagle. 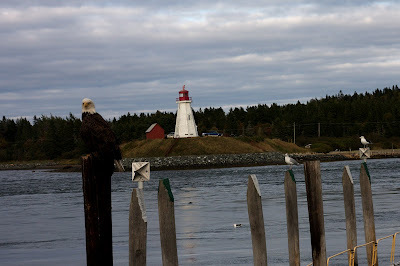 a lone eagle on the pier. Having left Marcus's borrowed long lens in the car I took a word of advice from Kate and used a little shoe leather. I got pretty damn close to the thing before some man came up behind me with a wicked long lens and scared it away. It was exhilirating though, here are some pictures! We sit around a wooden table on plastic rolling chairs, regularly discussing the basics of journalism. More as we sink into our stories, we explore taking writing beyond reporting to a place where the reader can sense the scene. Colin said jazz doesn’t happen if you can't play the basic scales. Friday at the head of the table, an editor from a local paper joined to talk about how he’s survived as a journalist. It was funny for him to sit in our newly renovated bright green room. Back in the day the Casco Bay Weekly lived in our building and our current writing room was called the “wood room”. It was a beat down place people would go to if they needed to talk about things that couldn’t be said in public. Read publications before you submit. Notice their buzzwords. Choose an area of interest and read widely on that topic. Know your angle, and the publication's angle. Always be specific in a pitch. He compared editors to dogs: a story’s not theirs until they’ve pissed on it. Be flexible when collaborating on a piece. Don’t lie about access to sources. Be honest about what you can deliver. Check submission guidelines for each publication. Some editors prefer phone calls. Don’t use clips from your college paper. Pitch things that haven’t happened yet. To get clips, call editors and offer to cover anything. He heard our pitches. It was exciting to watch editor wheels in motion, imagining our stories in his paper, and inviting people to follow-up with stories for upcoming issues. Yet we know, with papers folding all over the world, there is a new media emerging and we wonder what does this new media scene look like and how will it transform the way we tell stories? 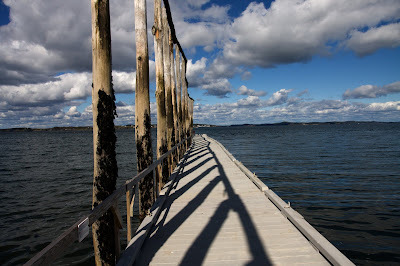 walk the streets on Munjoy Hill. or a cup of soup. one of them comes in his puffy jacket. until there is enough to escape. To buy a plane ticket out of this icy "Vacationland." criss crossing on the broken cement street. But I never hear the sound of a bottle drop. If you like to plan things out ahead of time, the process of finding covering a story is frustrating, particularly for writing students. That's not to disparage the difficulties that photography and radio students face, but given the amount of time it can take to sit down and hammer out even a 2-3 page article, not to mention refining it after, it can be stressful to not know when the research phase is finished and when you can devote yourself fully to writing. I guess maybe you get spoiled by college and high school where there is a clean line between one stage and the other, and in this respect the curriculum here at Salt is closer to the real world with all it's messiness. Still, this reality can't be overstated to future Salt students, and they should be well prepared to throw themselves into that glorious mess. 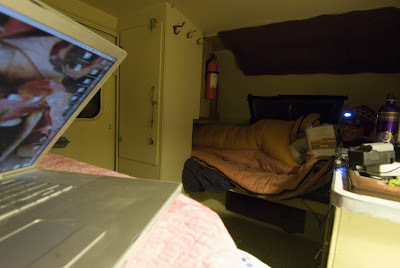 there's also a genius article that accompanies the photo essay.